Tow a Grand Cherokee with a PC 2350 (Ford)? We have a 2012 2350 on a Ford E350 frame. We're thinking of trading in our Jeep Wrangler (our toad) for a new Grand Cherokee. The published weight for the Grand Cherokee is ~4800 pounds. I would be grateful for any advice on whether or not the PC will/can/should tow a Grand Cherokee or not. Re: Tow a Grand Cherokee with a PC 2350 (Ford)? I don't tow anything as of yet, but maybe someday I will, so I have a maybe dumb question to ask. Why tow a large 4500 vehicle? I would think something to run for milk and sightseeing could be nicely handled by something much lighter. The main limiting factor with the factory setup is the rating of the hitch ( 5,000 pounds). It would not take much to exceed that limit. Once that limit is exceeded there will be additional problems if something goes wrong. Replacing the hitch could increase the 5,000 pound limit. Here is a link to a post covering the same subject. I would be concerned about beefing up the hitch and what that extra towable weight would do as it gets transferred down the rest of the frame. I would venture a guess that Ford and PC and other manafacturers have engineered the E-450 to be max'ed out at the 5000 lb mark. A lighter toad is a great idea but some have to go with what is in the garage and how easy jeep's can be towed make them very popular. Can not wait for a new Mini Wrangler to come out in two years! My 2014 GC summit may have started life at 4800 lbs but with all the options added to it, it is somewhere around 5500 lbs. That is way to heavy to tow with a PC. We currently tow a 2004 Liberty at weights about 4800 lbs and it is very noticeable and kills my MPG. My door frame says 6500 GVRW with a max payload of 1000 lbs. Have you looked at the new 2014 Jeep Cherokee, it is smaller, lighter and can be towed four down. We tow a manual all-wheel drive 2014 Subaru Forester four down. All we have to do is turn the key to accessory, put her in neutral, and take off the emergency brake (and flip a switch on our SMI brake assist). I think the base weight is around 3500 lbs and we are probably a bit over 4000 lbs with the bikes, car top carrier and other gear for our full time journey. 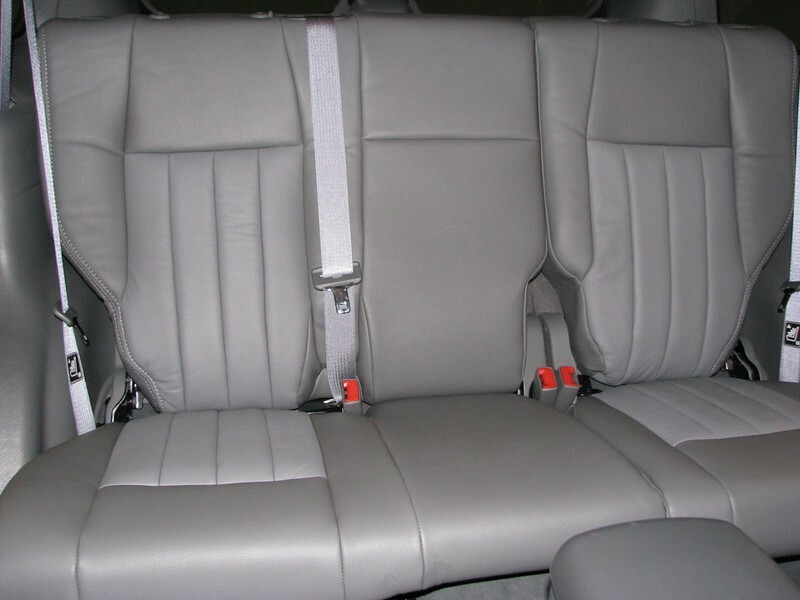 It has ample space for 4-5 passengers and decent cargo space (lots if you put the back seat down). It gets decent gas mileage for our run about trips and can handle "off road" conditions (unlike the Honda CRV that says it is not meant to be driven off pavement). This is not to say it is for rugged off roading like the Jeep may be but it handles the campground roads and most of the back country roads we might be driving on. I don't see a problem towing a 4800 pound vehicle with a PC2350/E350-V10. Just don't use the tow vehicle to store heavy items. Any concern involves the limit of the 5000 pound hitch on the motor home, not the Ford chassis. The E350/V10 will handle the job nicely. We tow a 4300 pound Jeep Liberty which our 2007 PC-2350 E350/V10 motor home handles it just fine. The gas mileage is right at a one mpg loss. But no worries because at your destinations, you'll be saving the fuel driving the tow vehicle instead of the motor home. The feel towing versus not towing is very noticable when accelerating but not once at a steady speed. I can't imagine an extra 500 pounds more than we tow, making a noticable difference. Tom, are you sure you have your weight right on your 2004 Liberty? Is it a diesel? Maybe that's where the extra weight comes in. Our 2006 Liberty v6 gas 4x4 states 4300 pounds all over the internet. Ron you are correct. The door sticker says 2541 GVRW. I don't know where I got the 4300 from. I was referring to "curb weight", not weight rating. I read that curb weight on the 1st gen Liberty (2002-2007) is 4300 pounds for the 4x4 with the 3.7L-gas engine. The 4x2 weighs less at around 2800 pounds, the diesel weighs more. That be us, 4300 lbs. Thanks everyone for your responses. Much appreciated. Interesting discussion because I have been thinking about whether to tow and what to tow. We have a 2011 Jeep Grand Cherokee with the Hemi and it is just to heavy to tow. No question about that in my mind. We want somethinig we can use on rough National Forest roads and in the backcountry, so a Jeep Wrangler probably would work best. I don't know about the rest of the country, but they are REAL proud of those around here (I am talking about used). I want one pre 2006 so I can get the old straight six engine. Literally and truly, I can buy a Liberty for about half what a Wrangler costs in the early 2000s models. I was pretty shocked when I discovered this fact. I have driven Cherokees and Grand Cherokees for five vehicles over twenty something years and I just had never paid attention to Wrangler prices. 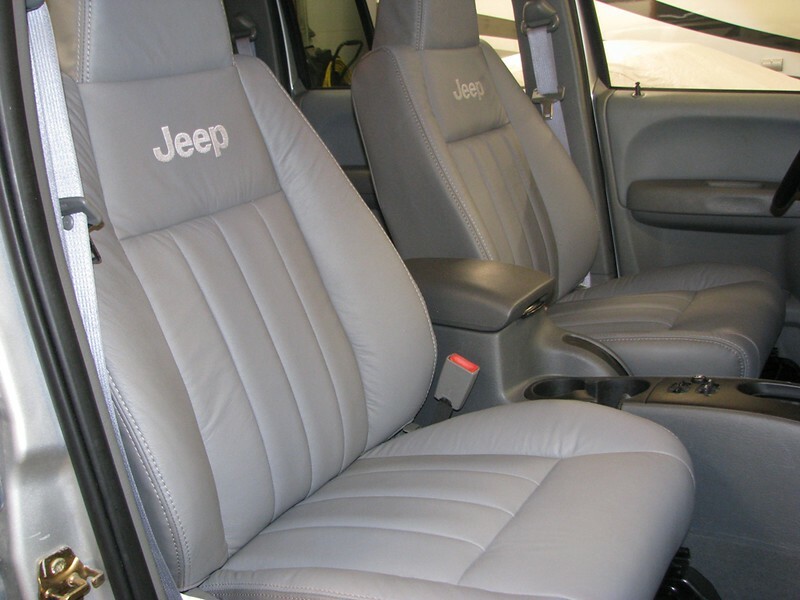 Also, a lot of the Wranglers have really been treated harshly, compromised and customized. I am trying to convince my wife she would appear 20 years younger driving a Wrangler than her car. She ain't buying it. A friend of mine has a two door wrangler. He never gets to drive when the four of us want to go some where, like out to dinner. Try getting into the back seat of a wrangler before you buy. Back in 2008, my wife was dead set on getting a Wrangler for her every day use vehicle because "They Looked Cute". We turned 50 that year and I knew better than to consider one. But I had to do diligence and did some cost research. I found used ones to be extremely expensive, much smarter to buy a new one instead. So I took my wife to a dealer and thank goodness her test drive and tire kicking experience had her reconsidering. While at the dealer she noticed a couple 1st generation Libertys on the lot. After test driving & tire kicking a 1st gen Liberty (2nd gen was ugly to her) she concluded "It is just as cute, and it works for her too". It was a month or so later, we bought our 2006 Liberty. She was dead set on one with the raw plastic fenders which is the base model. I was able to find one all decked out with alloys, options & sunroof, low miles, and at a bargain price. It lacked only leather which was an ongoing disappointment, but I took care of that last Christmas, replacing her cloth skins with new leather ones. Happy Wife is Happy Life. She is actually very easy to please.